Have you ever celebrated Pi Day? 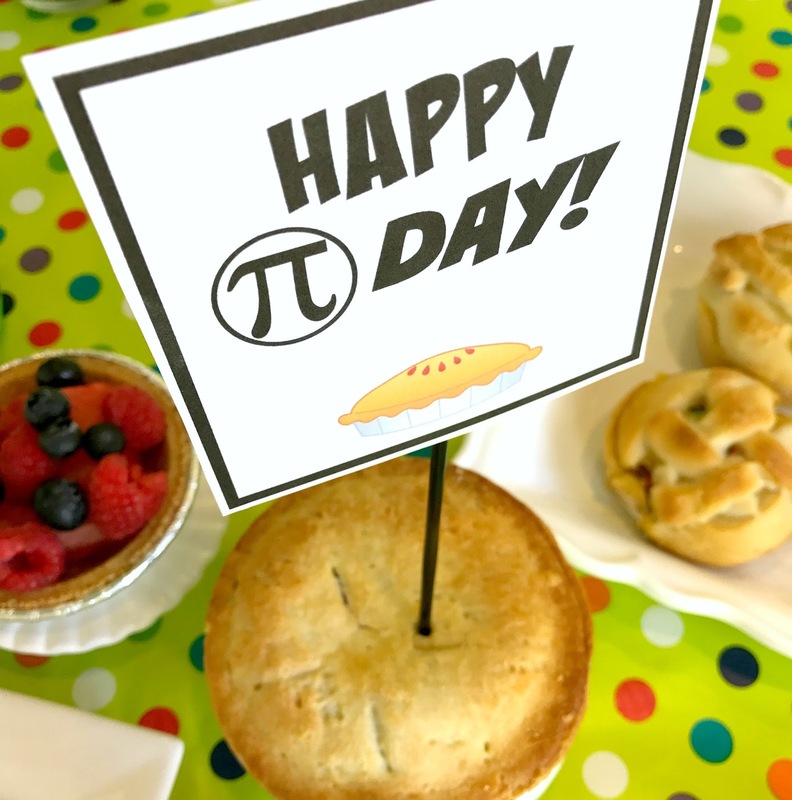 I know, it's not your average holiday...it's not a holiday at all, it's just a fun date on the calendar to eat pie and think math. 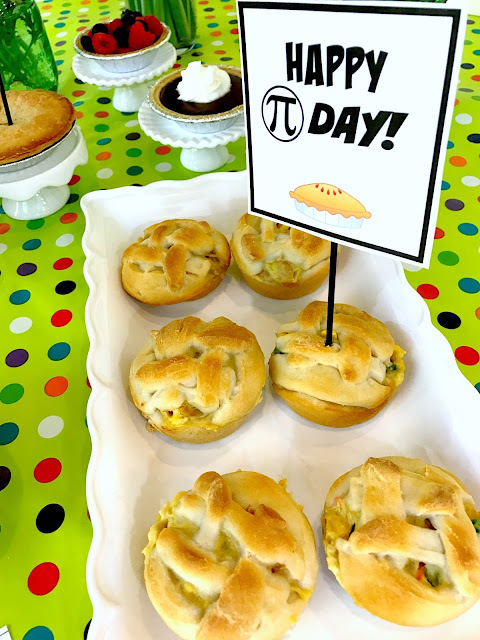 Last year, we ended up celebrating AH's birthday on March 14th. When I saw the party would take place on 3.14 (Pi Day), I knew exactly what the party theme would be. 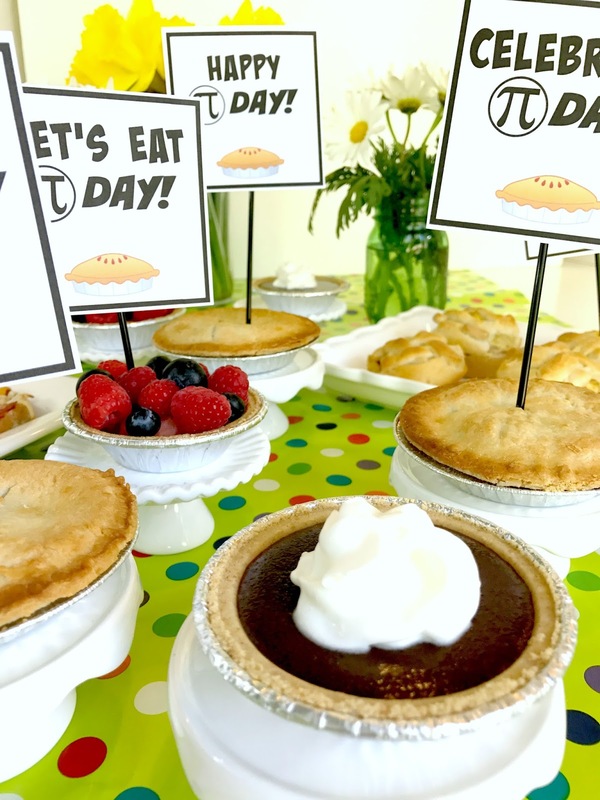 Take a look at our Pi Day Celebration. It's a full meal of pies! Mmm! I used this recipe- click here. 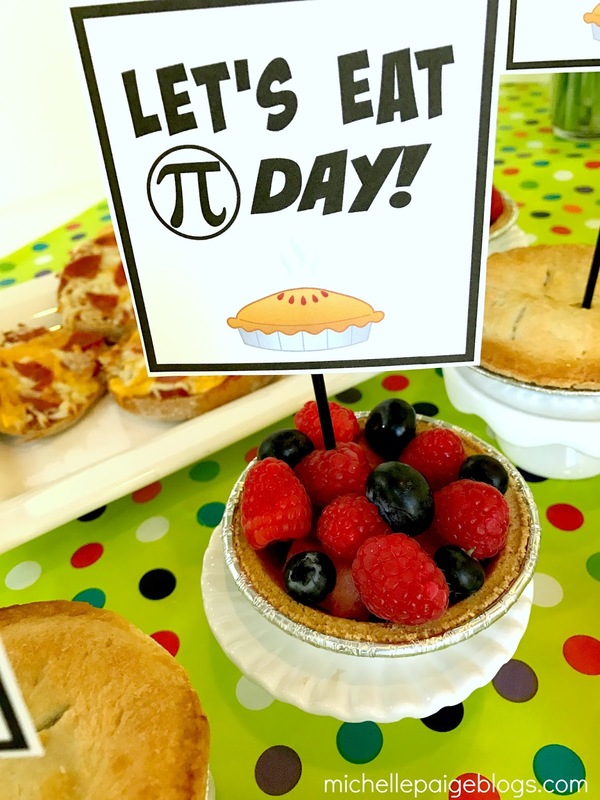 Chocolate pudding served in a pie crust with toppings. Find these at Walmart for 50 cents a piece! Yes! Do a Google search and print out some math worksheets (on your kids' academic level) for finding the area of a circle. 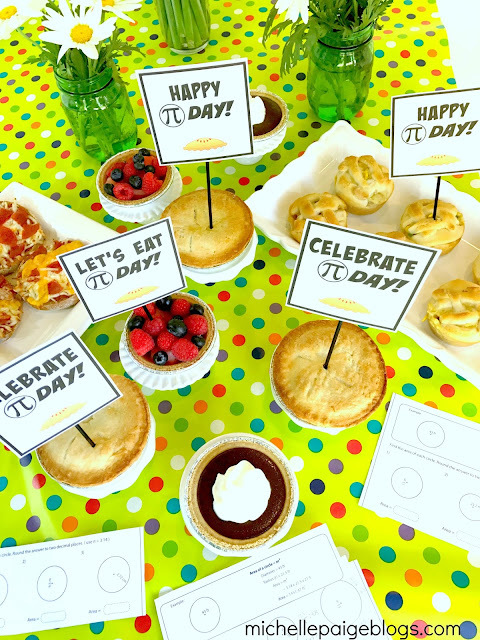 I also printed out a bunch of facts about pi. Click here for a fact site. 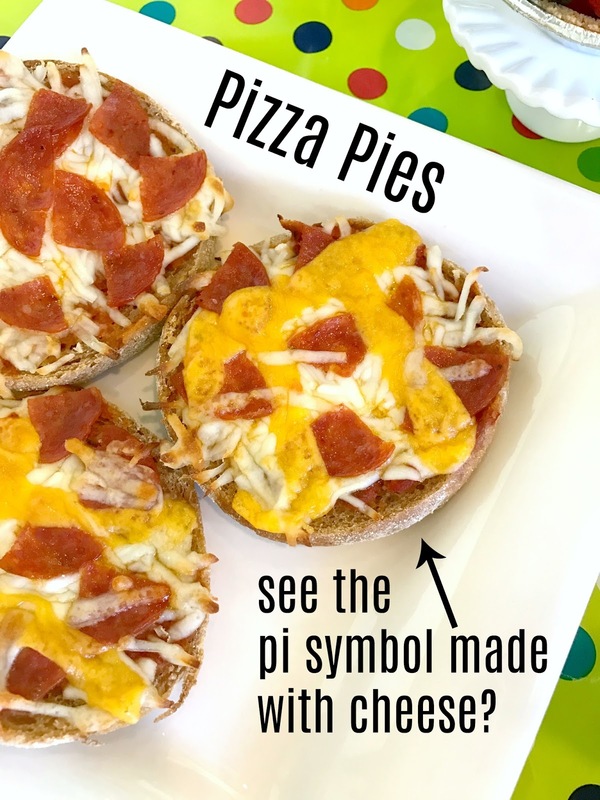 For example, did you know that (pi day) March 14th was Albert Einstein's birthday? 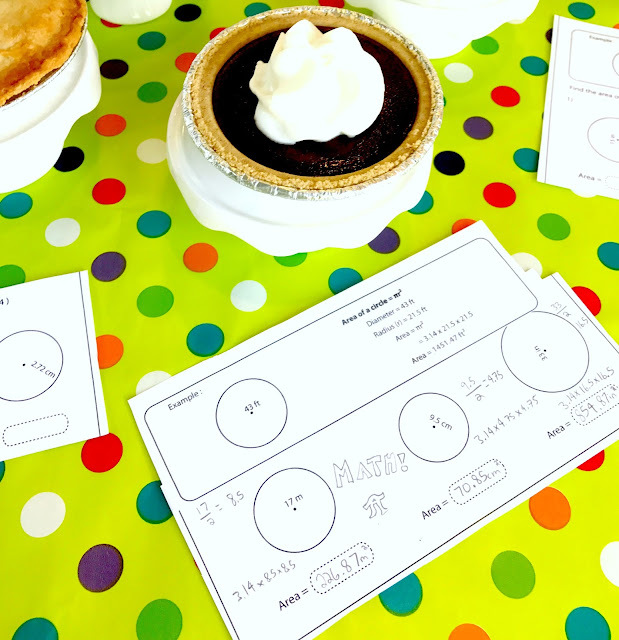 Display the math sheets on the table with the pies. 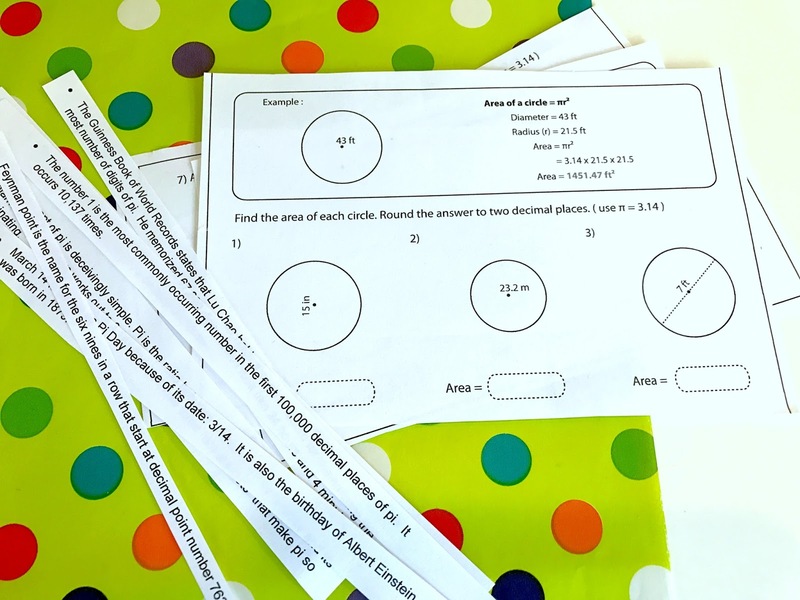 Add a few pencils to encourage everyone to try some problems. 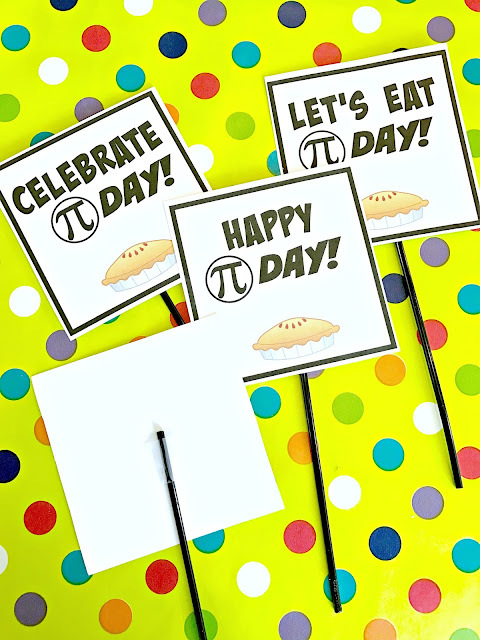 Print out the pi signs on cardstock. Trim and tape a coffee stirrer to the back of each sign. 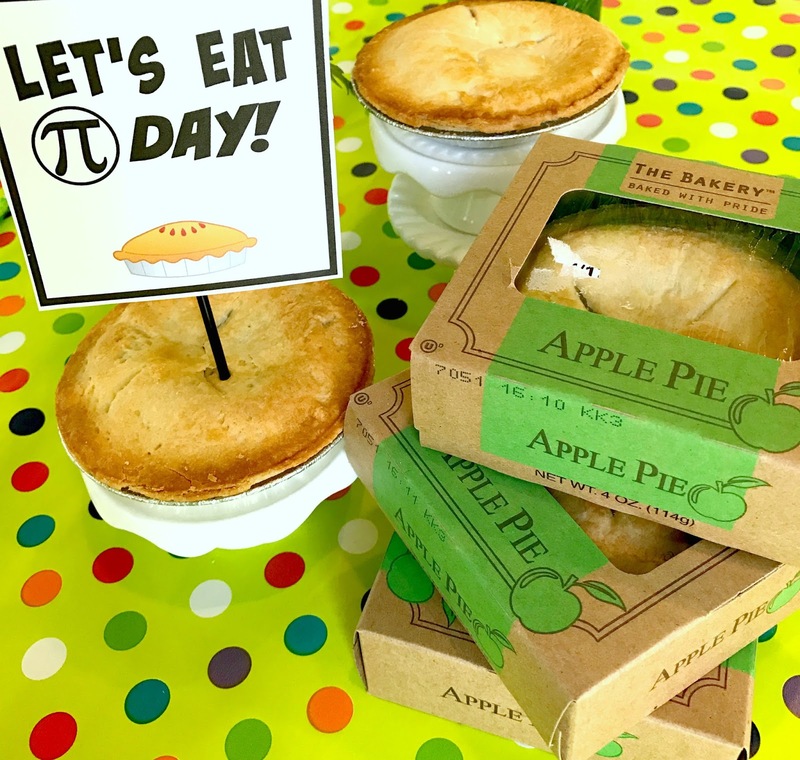 Stick signs in the pies. 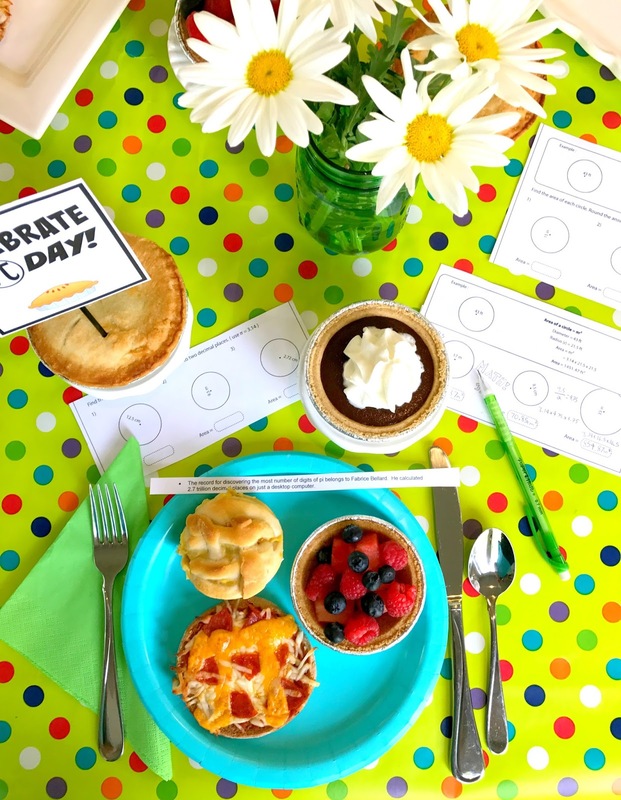 Don't you think your family would want to celebrate Pi Day? 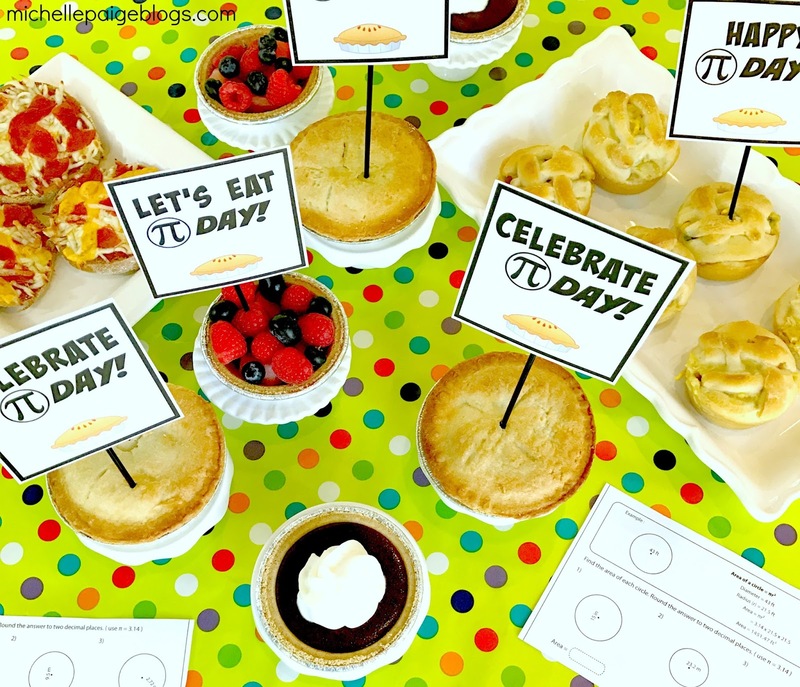 Want to see more of my party ideas? Click here.